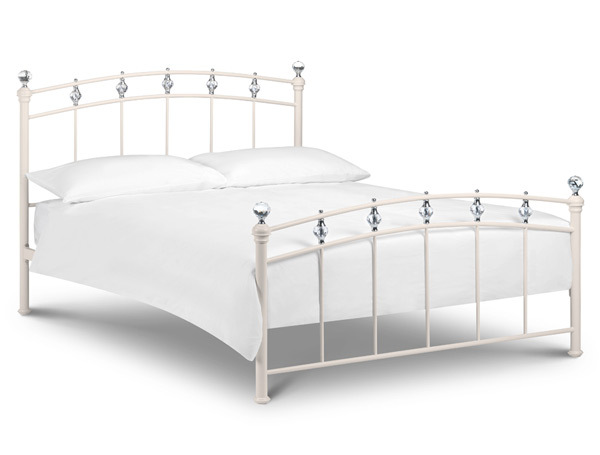 The Sophie bed frame offers a elegant styling being finished in a stone white colour with elegant crystal effect finials and detail within the frame. The Sophie is made in 2 sizes Double and king size. This bed frame will be delivered direct from Julian bowen on his own dedicated home delivery team. normally within 7-10 working days to most postcodes free of charge . Some postcodes will take longer and may incur a small delivery charge..